Acidic Water has Many Great Uses! Water ionizers of course produce a wide range of alkaline ionized water pH-levels, but with every quart of alkaline water poured you will get anywhere between 1 pint and 3/4 quarts of acidic water. Acidic water is not waste-water. In fact it has many great uses. Anyone who owns a water ionizer should know these benefits! In the following video you can see me testing the pH of the acidic water that comes out of my Athena Water Ionizer while I am pouring alkaline ionized water to drink. I like to drink a pH of about 10 to 10.5 and when I do, with the Athena water ionizer, I’m able to also get close to -800 ORP [wonderfully high levels of antioxidants] in my water. Sipping on this all day long gives me great cardio-vascular, and other free-radical scavenging benefits which I have definitely noticed! While I’m getting the healthy water my body loves, I am also collecting the acidic water that my hair, skin, laundry and plants love. Look for a brief outline and description of the most popular uses of acidic water just below the video. What are the Main Uses of Ionized Acidic Water? Beauty-water capabilities. The pH-levels of 4 – 5 are very healthy to spray on or otherwise rinse skin or hair with. The slightly acidic pH is needed to close pores and hair-cuticles up tight and make your skin/hair softer and more “toned”. Benefits-of-Acid-Water-for-Plants: Plants love slightly acidic water as well. Acidic-water helps the acidalkaline-balance-in-plants, which is somewhat the opposite of animals. So, have some fun watering all of your plants with acidic-ionized-water! Acid water is also great to add to your bath water or laundry. It naturally softens it and makes it need less soap for cleaning. Can be used as a mouthwash. Is a wonderful hair rinse. Makes your hair shine and improves color as well. Best disinfectant for baby toys, because there are no chemicals in it! 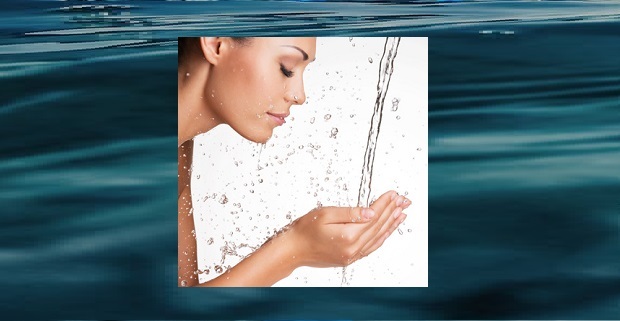 See our Water Ionizer Use & Care page for more ways to use a water ionizer. Storing acidic water is much easier than storing alkaline water. You can store it in an open bucket for weeks, and there will be no reduction of pH! You can even boil it, although boiling acidic water isn't necessary because it already is free of germs completely. I usually will use colorful spray-bottles for storing acid water, because they're handy to just pick up and use any time [and they look nice]. I wouldn't particularly suggest storing acidic water in a metal container, because it could rust [and acidic water is more oxidizing than regular water].